In case you are wondering where I have come from I’m Anna, previously of The New Old Fashioned Girl, now of A Sparkle Of Grace. I thought a great way to start off a new blog would be to share my makeup collection, and since I have quite a bit of makeup I decided to do a weekly post on it until I have covered the whole thing. This was the most expensive foundation I can ever imagine myself buying, and to be honest, I still don’t know what possessed me to buy it. This has a really light coverage and has a very liquid formula. I can imagine this one being great for anyone with really good skin or prefers a natural look. Personally, I prefer I medium to high coverage. This foundation is one of my favorites, it was a bit more on the expensive side as well, but I do think its worth it. This one is a good medium coverage that is quite buildable. To me this one looks a bit more on the orangey side, but when I wear it I often get people saying I look pale. My mom bought this for herself but wasn’t really a fan so she handed it over to me. I haven’t used it a ton, is has quite a glowy, dewy finish, not my fav for this time of year. This one is the newest addition to my foundation family, and I am loving it. It has a good high coverage, and a lovely flawless matte finish. 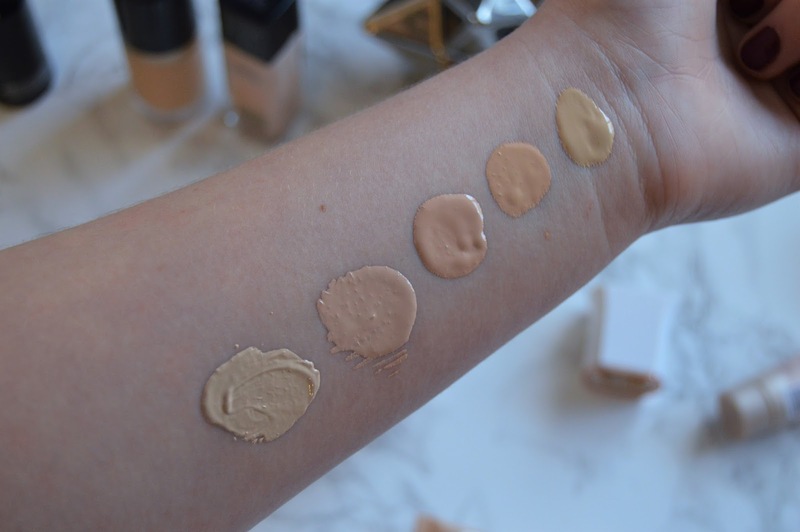 This is more of a summer foundation, very light coverage, with a dewy finish. This is almost empty, and I don’t think I will repurchase it. The wear isn’t very good, so I would just slap it on if I was going to the beach and wanted a little bit of coverage. 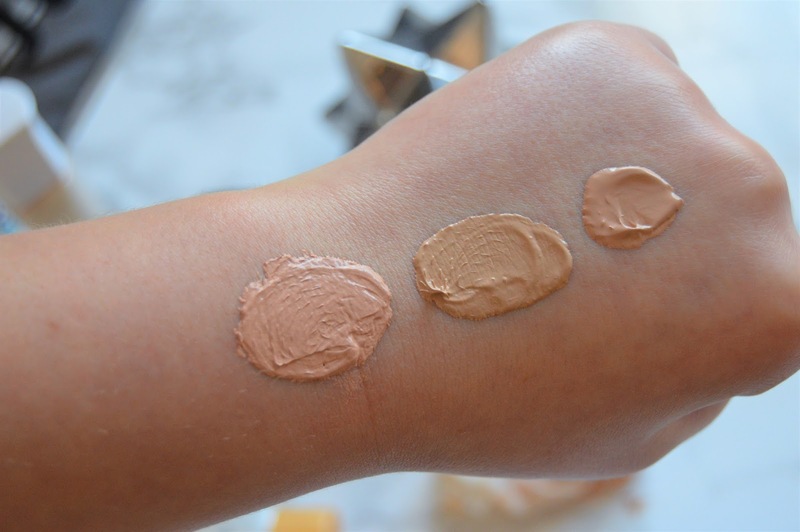 This one is now gone, I used the very last of it for the swatch below( now that dedication for you) I love this BB cream so much, it isn’t even funny. The shade I have this in is a touch too dark for me this time of year but is perfect for the Summer when I have more color in my cheeks.This has really good coverage for a BB cream, I would say is a solid medium. Not a fan of this one, for a couple of reasons. Number one its scented, quite a perfumy smell. I don’t really see why anyone needs a scented BB cream. I have good coverage but stays feeling a bit sticky on the skin. This foundation and I have a love/hate relationship, if I apply it just right not to much or too little it looks perfectly flawless, but if I go overboard at all it will get cakey and just plain awful. 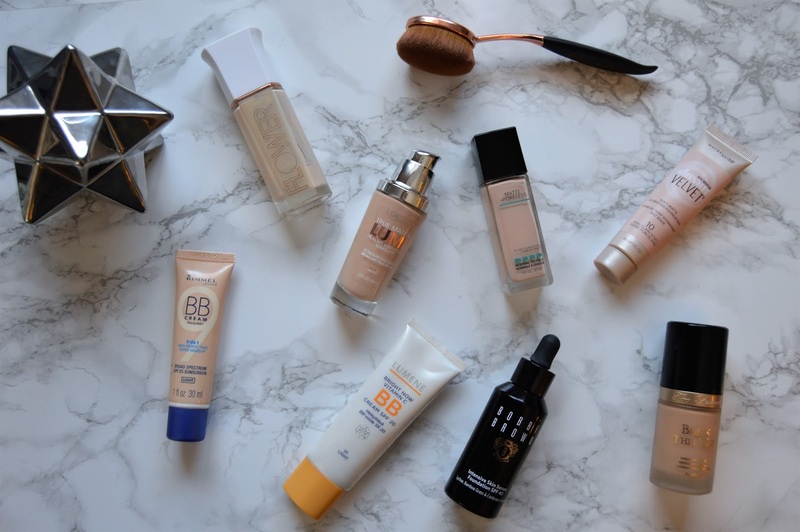 Do you have and love any of these foundations? What do you think of my new blog? I would be the happiest girl in the world if you would give it a follow.